No cry sleep training – is it REALLY possible? 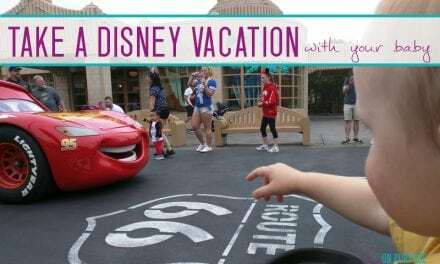 This is a guest post from Jilly Blankenship, a Neonatal and Pediatric Intensive Care Registered Nurse with a degree in Psychology. She began providing in-home sleep consulting services for babies and toddlers in 2009 – she’s sharing about no cry sleep training today! I personally have chosen not to sleep train my babies – because the idea of cry it out just DOES NOT appeal to me. I have no interest in it, and would rather be tired, to be honest. 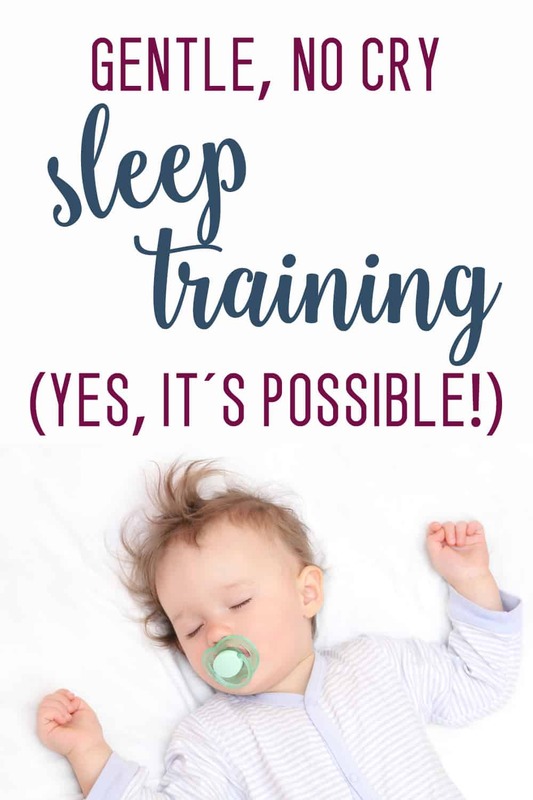 Even during all the baby sleep regressions, I don’t feel compelled to sleep train – even using a gentle sleep training method. BUT I 100% get why a parent might want to, and I know that there are ways to sleep train without tears! 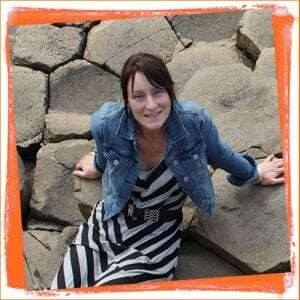 When I first spoke to Jilly I told her that I hadn’t ever read anything anywhere that gave me the impression sleep training would work for us. I explained that our toddler still co-sleeps with us, and I was feeling a little desperate about how I would handle a toddler and a new baby in the same bed, but that crying it out wasn’t something I was going to try. Jilly is the first sleep training professional that has ever given me hope that we could sleep train without crying it out, and also the first one that I felt actually respected my feelings about CIO. She gave me suggestions that no one else has ever mentioned, and I know her baby sleep program is FINALLY going to be the answer for so many parents who want to avoid CIO. I am super excited to share this post from her today on how to teach baby to sleep without crying! If you need FREE advice to get your baby sleeping ASAP, check out this FREE Survival kit for Exhausted Mommies! Ask any new Mom her three biggest fears and I bet most will mention cry-it-out sleep training (CIO). The definition of CIO differs a bit, depending on who you ask. But most Moms agree that leaving your baby alone to cry himself to sleep (and never checking on him) qualifies as “crying it out.” And for many Moms, this is terrifying. Admittedly, a lot of parents get quick results with this method. But let me reassure you, you don’t have to do CIO to teach your baby to sleep well. There are infinite ways to approach gentle sleep training, and teach babies to fall asleep on their own and sleep long stretches at night. In my work as a baby sleep consultant, the best approach is one that caters to your baby’s age, temperament and your parenting style. As long as you have time and patience to spare, sleep training without crying it out IS possible! You can help your baby learn to sleep well in a gentle way that minimizes tears. Let’s take a moment to discuss sleep training. In general, sleep training is the process of teaching your baby to sleep well. For most parents, this usually means falling asleep easily and sleeping long stretches. Setting up a consistent sleep routine and showing your baby how to fall asleep on his own. Babies thrive on consistency. Doing the same bedtime routine each night before your baby falls asleep helps him associate the routine with sleeping. Each night it gets easier for your baby to settle and fall asleep because of the repetition of this routine. The way that a baby falls asleep at bedtime is how he will prefer to fall back to sleep during the night when he wakes. If your baby is used to being nursed to sleep, then this becomes the only way he knows how to fall asleep. So each time he wakes at night, he’ll need to be nursed in order to fall back asleep. And if your baby is waking every 2 hours, this quickly becomes exhausting. An essential aspect of sleep training is showing babies how to fall asleep on their own at bedtime. That way, when they wake during the night without any immediate needs such as hunger, they’ll be in a familiar environment and know exactly how to settle themselves back to sleep. Does sleep training have to involve crying? No. The slower you go with sleep training, the less likely your baby will cry. 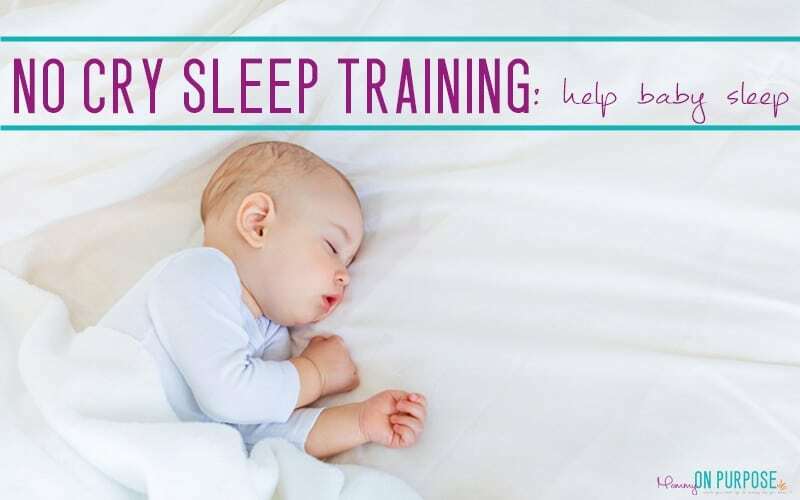 Remember, sleep training involves setting up a consistent routine AND teaching your baby to fall asleep on his own. Gentle sleep training methods involve focusing on only one change at a time. In my baby sleep program, first we create a peaceful bedtime routine. Next, we adjust baby’s bedtime, if needed. Once those steps are going well, we work on getting baby to accept falling asleep on his own. Obviously, this approach takes longer because we’re separating out each step. With a gentle method, parents are trading time for fewer tears. Time is the “cost” of a no cry sleep training method. The goal with gentle sleep training is to move so slowly that your baby has time to adapt to each change in his sleep routine. So the slower you go, the less your baby resists and cries. Of course, slower methods require lots of patience and dedication on your part. I typically tell parents to expect 3-4 weeks before seeing big results. Quicker sleep training methods involve making all necessary changes to your baby’s sleep routine at the same time. The goal is quick results. For some babies, this could mean starting a new bedtime routine, changing the time your baby falls asleep AND teaching him to sleep in a new space. That’s a lot of changes! And because it’s so abrupt, it often leads to tears. 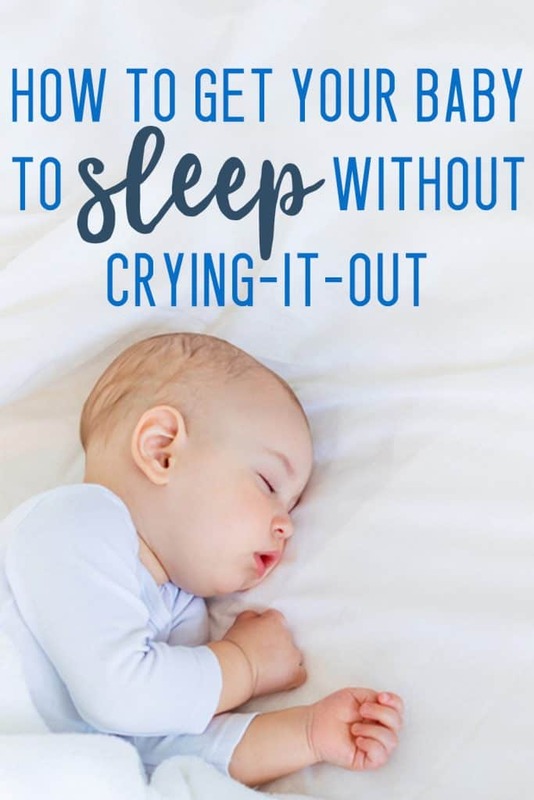 But many parents are drawn to quicker programs because they fear they don’t have the patience or stamina for a longer method, and that’s ok.
How can I minimize crying while sleep training? Go slowly. Focus on making only one change at a time to minimize your baby’s resistance and tears. No cry sleep training methods are not INSTANT RESULT methods. I recently worked with Charne, mom of 6 month-old Olivia. After one week with a consistent bedtime routine, Olivia went from waking 8-9 times a night to only twice! That’s a lot of progress from one gentle step. Next, you want to give your baby an age-appropriate bedtime. Our body clocks are hard-wired to sleep at certain times. If your baby’s bedtime isn’t in sync with his body clock, he’ll have trouble falling asleep. If bedtime is too early, he’ll fight sleep because he’s not tired enough. If bedtime is too late, and he’s been awake too long, his system will become overstimulated. This makes it hard for him to relax enough to fall asleep. Trust me, this step works magically. Getting your baby down to sleep at his “sweet spot” bedtime results in fewer night wakings AND later morning wake ups! Now it’s time to slowly wean yourself off of being a sleep prop. Remember, in order for your baby to sleep long stretches at night (and eventually through the night) he needs to fall asleep on his own. How you handle this part depends on your baby’s specific sleep props. Let’s say your baby is used to being fed to sleep in the rocking chair and you want him to learn to fall asleep in his crib. Going cold turkey and not feeding your baby to sleep on night one would probably result in tears. Instead, your approach is a gradual wean off feeding to sleep. First, you’d decrease your feeding time by 2-3 minutes (or 30 ml) each night and instead rock your baby to sleep. After several days, he’d no longer need to feed to sleep. That’s a win! Next, you’d focus on rocking him less each night and placing him in his bed drowsy. This may take a few days as your baby gets used to falling asleep in his crib, rather than in your arms. You could pat his bottom or rub his head to help him settle. Once he’s used to falling asleep in his bed (another win) you’d slowly dial down your hands-on assistance. So you’d pat his bottom less and do more singing, for example. Slowly over the next few days you’d do less patting and more singing. Finally you’d sing less and less each night, allowing your baby to learn how to fall asleep on his own. Related: Is Sleep Training NECESSARY? Remember, sleep training does not have to include cry-it-out. You can teach your baby to sleep well without lots of tears. You just have to go slowly. Focus on one step at a time and give your baby time to adapt to each new change. What I’ve found works best is first creating a peaceful bedtime routine. Then make sure your baby has an age-appropriate bedtime. And finally, slowly wean yourself off being a sleep prop. In my experience as a pediatric nurse, we always measure progress by the week. Never by the day. Your baby may respond well for several days, then have a bad night and move a step back. That’s ok. You can make big progress in a few short weeks by being patient and consistent. And you can do all this while minimizing your baby’s crying. Learn more about Jilly’s gentle baby sleep program here. Or check out her FREE Exhausted Mom’s Survival Kit. It walks you through the first steps of getting baby to sleep well, with short, helpful videos and visual guides. 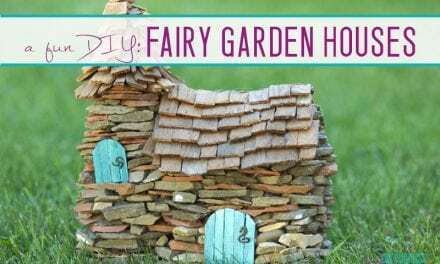 Build the Cutest DIY Fairy Garden Houses EVER! CIO was my big fear as well! I decided to skip on that and try to teach my baby on my own with tips from different blogs. It worked… somehow. We had a good routine but I was still rocking as I couldn’t find any way out of it without crying. Fortunately my friend told me about this method without CIO and it was a great great help! I trained my little one without any guilt! And it worked so fast I would never imagine! 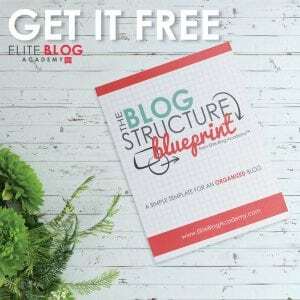 So you are totally right – it is possible! What age is a good age to start sleep training? I’m desperate for sleep but my Little one is only 3 weeks old. I know the newborn stage is a little different because their bodies actually need to eat every few hours so I know its probably too soon to start now. goodness, I’d say 4 months at the VERY YOUNGEST, and even then, it’s on a case by case basis. Thank you SOOOO VERY MUCH for being a voice of reason amidst the insanity!!! I never liked the CIO method, and yet that was about the only advice out there when my daughter was born! And now there are countless articles coming out about studies showing that CIO only causes your child to be more stressed and have more issues like depression, anxiety, antisocial behavior, and even lower IQ as a result!!! Another thing they did not even mention is that I think it unwittingly desensitizes the parents to the cry of the child – which for me, always evoked a very emotional, if not panicked response if I was trying NOT to respond to it! Thank you for the kind words! And I agree – we can see a lot of bad effects from CIO methods. Each parent must do what they think is best, but it’s definitely NOT for my family! Good luck with everything!